I am happy to say all of the coast(ie) runners who started the Princess Marathon finished. Even our spectators made it from start line, Magic Kingdom, and to the finish line again. I hear that is better than some of the people on the course. The runners saw some people being tended to by medical people at various spots along the course. But our support crew were joined by some runners on the monorail. I guess there were complaints about having to wait too long in the corral before the start. I have been on some bad runs before and it has never occurred to me to quit. All in all it was an amazing weekend. We got to play in the Disney parks, ride lots of rides, eat lots of good food, and run a great race with nearly perfect weather. 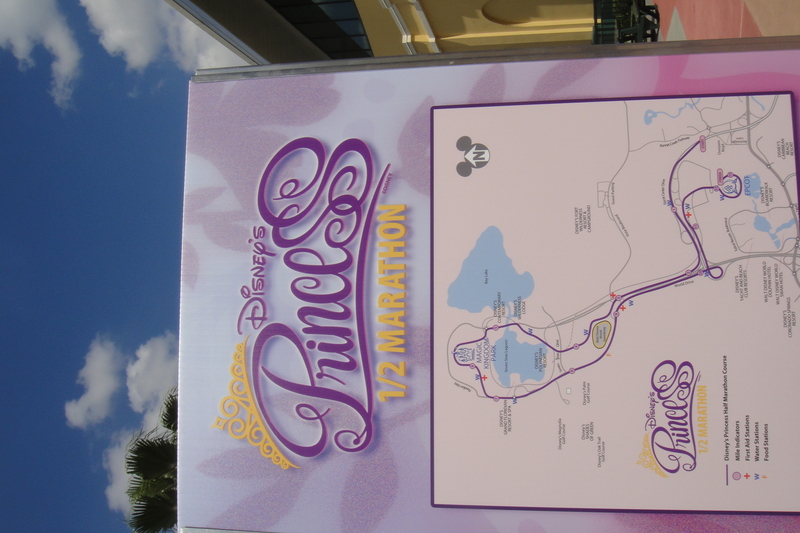 My goal is to run the first five Princess Marathons. 1-4 done. Number 5 to go. I think we need to go much bigger next year. Jim and I are already trying to come up with a costume. Disney can’t wait to see you and the rest of the Princesses in 2013!